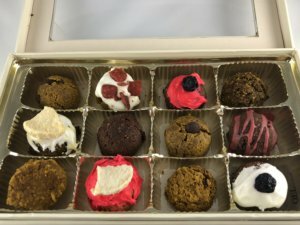 On a phone call with her longtime friend Lynette deGraaf, the two started talking about turning the doggy treats and dough into a business. Lynette was quite crafty herself and was creating reversable bandannas and bow ties for her darling dogs, two Airedales. The very next day, Lynette began sewing and Hayley began baking. What to name their new business? 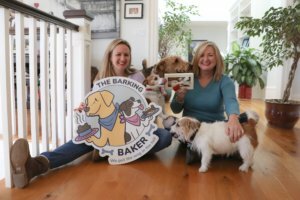 Hayley’s maiden name was Baker and they came up with the Barking Baker. Lynette had created bandannas that go over a collar and one that uses Velcro. 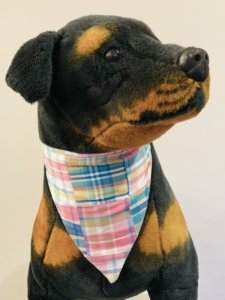 “Many dogs can get hurt from tied-on bandannas.” As a dog lover, she knew how owners love to dress up their dogs throughout the year and her bandannas were popular with her friends and family. So, why not sell them to others. Now what? Family always helps. Lynette has a brother in marketing, and he created their logo. Lynette (with the help of her brother) set up the web site and they signed up for some fairs and boutiques to showcase their new products. They went from idea to income in just a couple of weeks! Hayley has a commercial kitchen in her basement and now Lynette has a sewing room at her house too. Brilliant! What’s next? 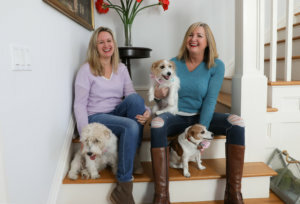 The two women say they’d love to have a doggie café where owners can come for tea or coffee and the dogs can come for treats. I love that idea!!!! 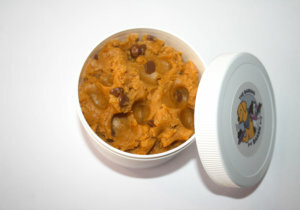 Look to your pets for a business venture. 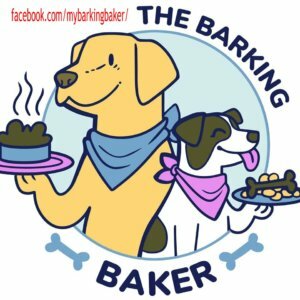 Love the history behind The Barking Baker. 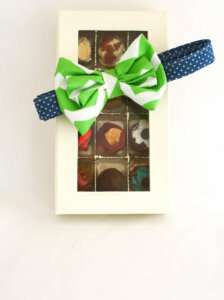 Establishing a business and being creative with a close friend has to be the best kind of work. Looking forward to hearing more about your venture.